For over 60 years, PVC medical devices have allowed patients and healthcare professionals to access an ever-widening range of medical applications for screening, diagnosis, treatment and care, with optimal technical performance, safety and comfort in use. Vinyl (another word for PVC) offers excellent durability, chemical resistance, low maintenance costs and affordability, which have made the plastic material a top choice when it comes to flooring, wall covering and other key elements of hygienic healthcare facilities. Thanks to these features, it currently accounts for about 40% of all plastics-based medical devices used in hospitals. As one of the most versatile materials available, vinyl is also used extensively in the healthcare sector for cables for telecommunications, pipes for drinking water and sewage, energy-saving windows and a range of other products. In order to make the PVC material soft and flexible, plasticisers (US: plasticizers) are added. 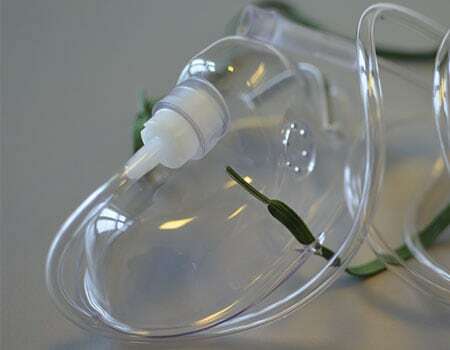 As all medical devices, PVC medical equipment with any plasticiser is subject to stringent pre- and post-market control and evaluation procedures to ensure safety and performance. A wide range of plasticisers are now included in the European Pharmacopoeia, which sets Europe’s legal and scientific standards to delivering high quality medicines in Europe and beyond. PVC medical devices are fundamental in the creation of modern healthcare systems. Together with vinyl-based hospital interiors, they are able to guarantee the quality and performance demanded by medical professionals and regulatory bodies. At the same time, medical PVC has enabled governments to ensure the smart use of resources and create innovative, quality-driven and financially sustainable healthcare systems. Over the years, the material has proved to be a safe, reliable and cost-efficient material for healthcare delivery. Together with the plastic’s numerous other properties – including ease of processing with different technologies, transparency, chemical stability and long shelf-life – you have a winning combination. As a result, PVC is now the most widely used plastic in pre-sterilised single-use medical applications. For over six decades, the use of PVC in healthcare applications has proven to be safe. The material has been rigorously tested through pre-and post-marketing evaluation and surveillance systems. Not only does PVC offer the flexibility necessary for applications such as blood bags or intravenous (IV) tubing, but it can also be relied upon for its strength and durability under changing temperatures and conditions. These properties are essential in providing convenience and performance for healthcare professionals – and thereby benefiting patient comfort and ensuring quality hospital care. Since the 1960s, the use of PVC in healthcare applications and medical devices has played a huge role in allowing the broader population access to safe, first-rate, affordable healthcare, as well as supporting governments in their efforts to ensure the smart use of resources and create innovative, high-quality and financially sustainable healthcare systems. PVC combines very low manufacturing and maintenance costs with excellent durability and long-lasting performance. PVC has been crucial in reducing and preventing healthcare-acquired infections. The absence of contamination sources is a fundamental requirement in medical product applications. PVC medical devices can be easily sterilised using such methods as steam, radiation or ethylene oxide, while keeping key properties such as flexibility and resistance to tears, scratches and kinks. 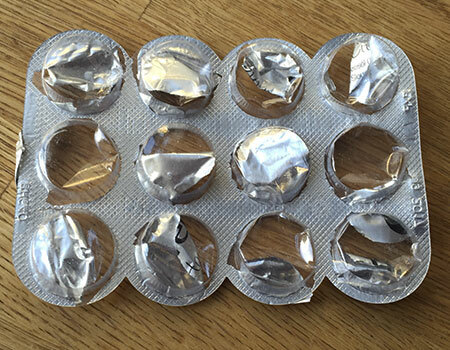 Materials used in medical applications must be capable of accepting or conveying a variety of liquids without themselves undergoing any significant changes in composition or properties. PVC meets these demands. Whenever plastics are in direct contact with the patient’s tissue or blood, a high degree of compatibility is essential. PVC is characterised by high biocompatibility, and this can be increased further by appropriate surface modification. Because of the material’s physical properties, products made from PVC can be formulated with excellent transparency to allow for continual monitoring of fluid flow. If colour-coded application is needed, virtually any colour can be created. PVC is compatible with virtually all pharmaceutical products in healthcare facilities today. It also has excellent water and chemical resistance, helping to keep solutions sterile. PVC’s resilience ensures that medical products function consistently, for extended use, in demanding applications. Ease of processing means that PVC can be extruded to make IV tubing, thermoformed to make blister packaging, or blow moulded to make hollow rigid containers. This versatility is a major reason why PVC is the material of choice for medical product and packaging designers. PVC is an extremely resource-efficient material through its entire life-cycle. It provides excellent durability and long-lasting performance with low maintenance costs. PVC waste is highly recyclable and can be recovered as a valued raw material to make other secondary products. Recycling schemes for PVC medical devices exist in the UK and Australia and New Zealand. The two main application areas for medically approved PVC compounds are flexible containers and flexible medical tubing. PVC is used to make blood bags and other non-breakable containers, which are crucial in today’s healthcare. Soft PVC is considered the material of choice for these kinds of devices. It is light and almost impossible to tear, making it ideal for quick and effective emergency treatment of accident victims. The properties of PVC make it the softest and most flexible plastic to use for disposable medical devices. 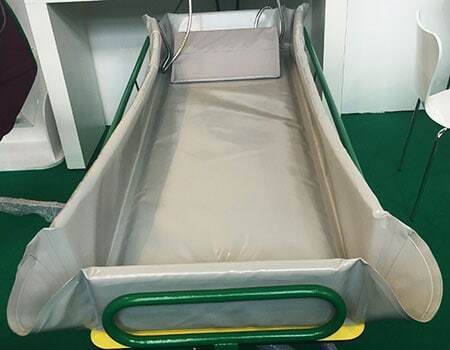 The softness ensures that the medical devices are as comfortable as possible—and PVC is for instance the best choice in neo-natal wards for newborn and premature babies. Healthcare professionals can also appreciate the softness when wearing medical gloves. Moreover, PVC-based medical devices are noiseless and prevent odours from escaping, thereby providing extra comfort and hygiene. Flexible containers include containers for blood, urine continence and ostomy products and containers for intravenous solution-giving sets. 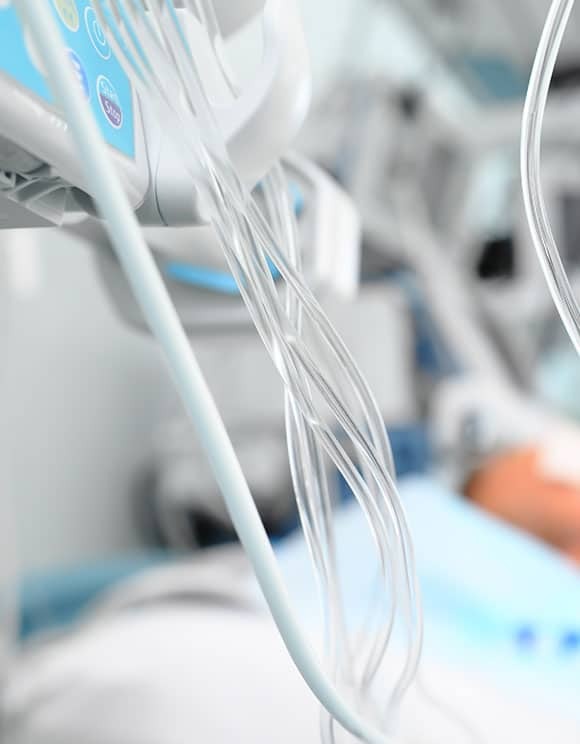 Typical requirements for medical tubing include clarity, flexibility, kink and scratch resistance, toughness, ease of bonding with common solvents or adhesives, and suitability for sterilisation. While other thermoplastics have been used to replace flexible PVC in medical tubing, none to date has been able to match the performance and advantages provided by PVC — in particular, meeting PVC medical tubing's optimum balance between kink resistance and affordability. 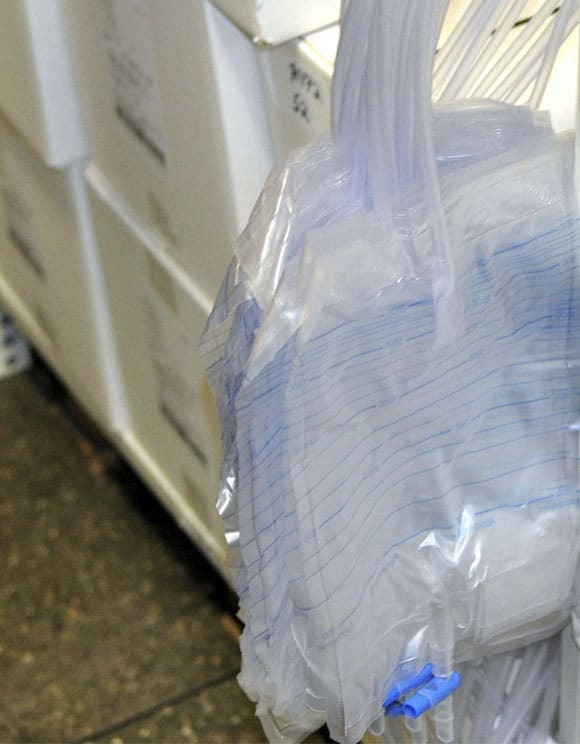 Have you ever wondered why there is much plastic in hospitals? The Curious Patient wants to know the purpose of all the plastic that surrounds him in the hospital room. Watch the funny animation video for the answer. 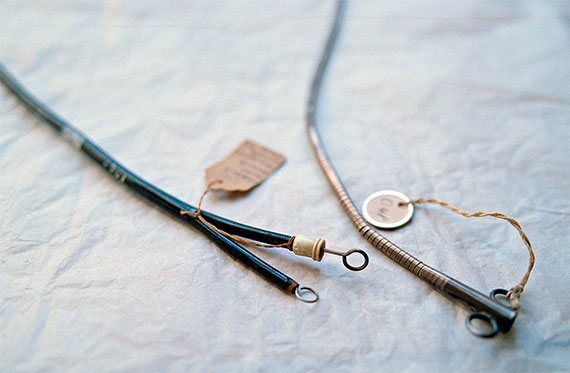 PVC medical devices were originally developed as replacements for natural rubber, glass and metal. Medical devices made of these materials required cleaning and re-sterilisation before reuse. The safety, high performance, low cost and versatility of PVC made it possible to manufacture single-use medical devices. In the early 1960s, this resulted in a revolution within the healthcare sector. PVC medical applications can be easily sterilised while keeping their key properties such as flexibility and resistance to tears, scratches and kinks. PVC-based medical devices thus improved medical safety dramatically by reducing the risk of life-threatening and healthcare-acquired infections caused by traditional, multiple-use medical devices. Read the fascinating story of how plastic-based medical devices revolutionised healthcare in the 1960s.